There is an openness and honesty that puts you at ease…. –B. H.
Going to the “Keys” is like getting the “Keys to the Kingdom” for your own personal life. — C. F.
I know I am covered in prayer while I am being counseled and when I leave. I know when I came to see Sue and Moe, I was lost. They pointed me down the right road…. — T. M.
…it’s been a huge help to have a Christ-centered solution to the difficulties we encounter in our marriage relationship. 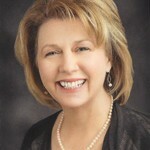 Sue Key Sanders is a licensed professional counselor. She earned her master’s degree in educational psychology from Texas Tech University and has been a practicing counselor since 1996. A Lubbock native, Sanders opened The Keys as a ministry to Lubbock and its surrounding communities in 1998. Sue offers counseling services focused on many subjects including grief, post trauma, sexual identity, premarital seminars, and a range of other therapeutic issues.